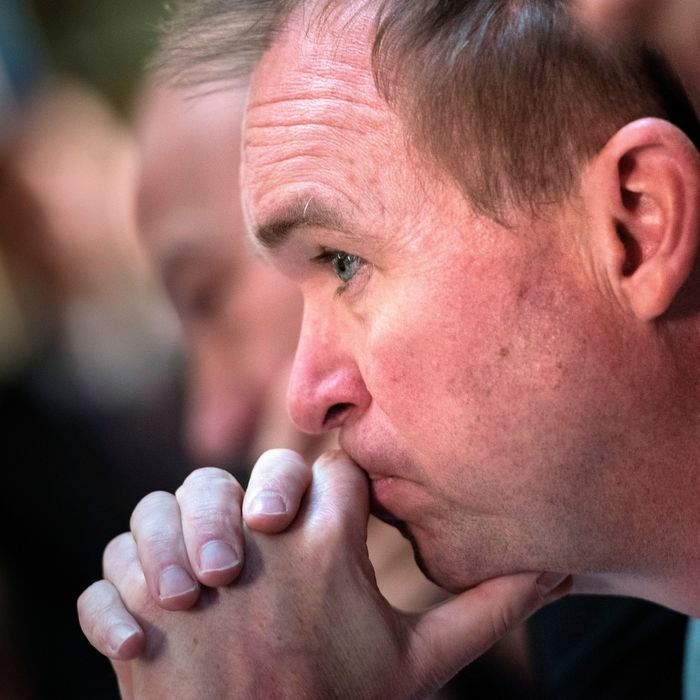 The conventional wisdom triumphed easily in Tuesday night’s special primary elections to choose a successor to Trump budget director Mick Mulvaney in the 5th congressional district of South Carolina. Front-runner Archie Parnell won the Democratic nomination without a runoff, dispatching netroots favorite Alexis Frank and als0-ran Les Murphy by a wide margin. In the Republican race, longtime front-runners Ralph Norman, a former state legislator, and Tommy Pope, current speaker pro tem of the State House, won spots in a March 16 runoff. Pope and Norman were running nearly even, each taking just under a third of the vote, with 84 percent of the vote in. Self-proclaimed Trump loyalists Tom Mullikin and Chad Connelly were third and fourth, respectively, but nowhere near the runoff finalists. There were roughly twice as many votes cast in the Republican primary as in the Democratic contest. Whoever wins the GOP runoff will be a solid favorite in the June 20 general election against Parnell, though a lot can happen between now and then.